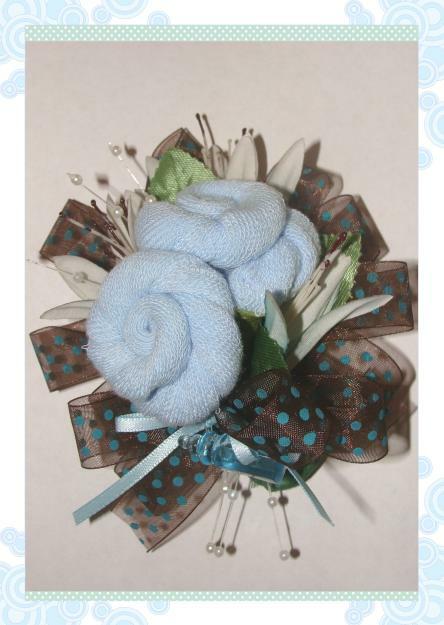 Don't forget the baby sock corsage for the Mom-to-be. Just choose your color combination. Ribbons, flowers and trinkets may vary from the picture shown, but will be in the colors you choose. Baby Sock Corsage is made with two socks, ribbons, flowers and trinkets. Items being used in the corsage may vary from the pictures shown, but will be in the colors you choose. They are all adorable and unique in their own special way!